On December 4, the signing ceremony of the MOU between ABP Holding Group (ABP) and China Taiping Insurance Group (China Taiping) was held in <?xml:namespace prefix = "st1" ns = "urn:schemas-microsoft-com:office:smarttags" />Beijing. ABP signed the MOU with Taiping General Insurance Co., Ltd., Taiping Pension Co., Ltd., Taiping Asset Management Co., Ltd., Taiping Financial Holdings Company Limited and China Taiping Insurance (UK) Co., Ltd., marking that the two sides have forged an all-round strategic partnership. Chang Zhenming, chairman of CITIC Group; Zhang Jie, deputy head of Fengtai District and chairwoman of the Administrative Committee of Zhongguancun Fengtai Science Park; Chen Xiaojia, president of CITIC Construction Co., Ltd. and other leaders attended the ceremony and extended congratulations. Among other leaders present were Xu Weiping, chairman of ABP Holding Group; Wang Tingke, vice president of China Taiping Insurance Group Ltd.; Li Wuhao, vice chairman and administrative president of Taiping Financial Holdings Company Limited; Geng Jinhai, managing director of China Taiping Insurance (UK) Co., Ltd.; Liu Hongtao, member of the Party Committee of Taiping General Insurance Co., Ltd.; Xing Maohua, assistant general manager of Taiping Pension Co., Ltd.; Sha Wei, general manager of the Strategic Customer Department of China Taiping Insurance Group and Zhang Yu, managing director of the North Business Division of Taiping Asset Management Co., Ltd. The signing of the MOU was concise, constructive and efficient, said Xu in an address at the signing ceremony, adding that it will boost the future development of southern Beijing's economy, and lay a solid foundation for ABP's new strategic cooperation with CITIC Group and China Taiping. In his speech, Wang noted that the signing of the MOU marks a new beginning of China Taiping's strategic development. As a Chinese financial insurance group headquartered in Hong Kong and China's first insurance enterprise listed abroad, China Taiping boasts a broad market foundation in China and the UK. In the future, China Taiping will employ its advantage to work with ABP in traditional business fields, and carry out innovative and all-round cooperation with ABP in fields such as asset management, financing and real estate investment, thus establishing a long-acting mechanism of mutual benefit and win-win, he added. Previously on October 21, witnessed by Chinese President Xi Jinping and British Prime Minister David William Donald Cameron, ABP signed the General Contractor Agreement with CITIC Group in London. Under this agreement, the two sides will jointly create a new future for East London. The cooperation was hailed as a perfect model in the "golden age" of Sino-British ties. 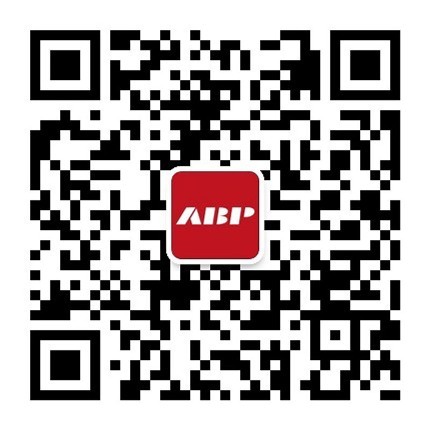 One month later, ABP joined hands with China's only insurance group conducting cross-border comprehensive operations, marking that ABP has further extended its operations in breadth and depth. This move will provide stronger guarantee for ABP's future business development. Through over 10 years' exploration and construction, ABP's business and operation model has been highly recognized. So far, ABP has invested in regions such as Beijing, Northeast China, East China, the south of the Yangtze River and London. Of these projects, Beijing ABP founded in 2003 has brought together over 500 large and medium-sized enterprises, and Northeast ABP which broke ground in 2010 has attracted over 300 enterprises to move in. In the future, through the construction of Qingdao ABP, ABP Southern Yangtze, especially ABP Royal Albert Dock, ABP will constantly attract enterprises, pool strength and build a win-win development platform for enterprises, thus contributing to the economic and trade cooperation and cultural exchange and fusion between China and the West.